Pupils at Carlisle Indian Industrial School, Pennsylvania, 1900. Those buried in the Pennsylvania graveyard were students at the Carlisle Indian Industrial School. The school was opened in a former prison barracks by the federal government under Richard Henry Pratt, a soldier-turned educator, who coined the phrase “kill the Indian, save the man.” The first students arrived on Oct. 6, 1879, dressed in their tribal clothes. As a crowd assembled to watch them enter the school that first day, the older children sang traditional songs to bring them courage. The school took 10,000 children away from their families until it closed in 1918. Carlisle was used as a model to shift the campaigns against Indians to assimilation, and nearly 500 similar boarding schools were eventually across the country. Communities of grandparents, parents, aunts and uncles were left bereft of 100,000 children forcibly taken from their homes and placed into boarding schools beginning in the mid-1800s and continuing into the 20th century. Thousands of the children died of disease, malnutrition, physical abuse and emotional terror. Others grew up without familial bonds. Three generations later, the trauma has left a devastating legacy of abusive behaviors, loss of language and knowledge of traditions and tribal history, alcohol and drug abuse, suicide and suffering. The U.S. has never apologized for this, Wharton said. As a founder and legal representative of the National Native American Boarding School Healing Coalition, NARF is identifying goals and strategies that would bring about reconciliation with the U.S. as well as healing for Native individuals, communities and tribal nations victimized by U.S. boarding school practices. The National Native American Boarding School Healing Coalition developed out of a symposium held in May 2011 by NARF, the University of Colorado Law School, Boarding School Healing Project, University of Wyoming College of Law, 30 survivors of the schools, and representatives from national organizations and other professionals involved in the education and services to Native Americans. A class action suit was filed against the U.S. government in 2005 over boarding school abuses, Zephier v. United States. 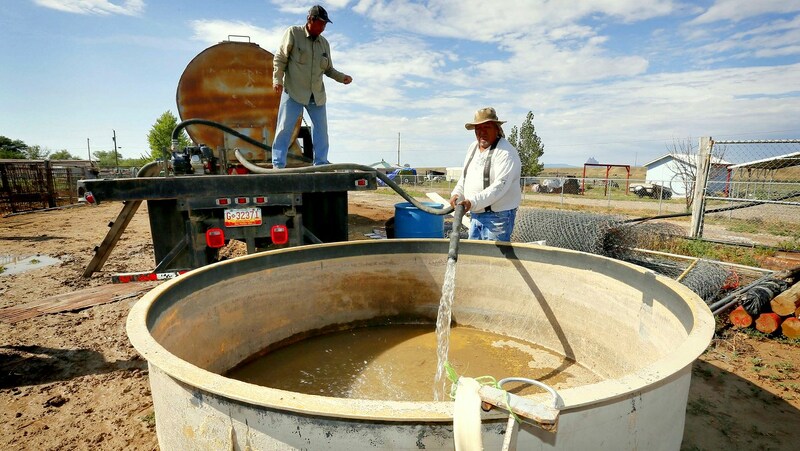 The court dismissed the case because it had to first be filed with the Bureau of Indian Affairs (BIA). “Several churches have made apologies but not really tied to reparations such as UCC [United Church of Christ], UMC [United Methodist Church] and others,” said Andrea Lee Smith, U.S. Coordinator for the Ecumenical Association of Third World Theologians. Smith completed a 2009 report for the United Nations on Indigenous Peoples and Boarding Schools. 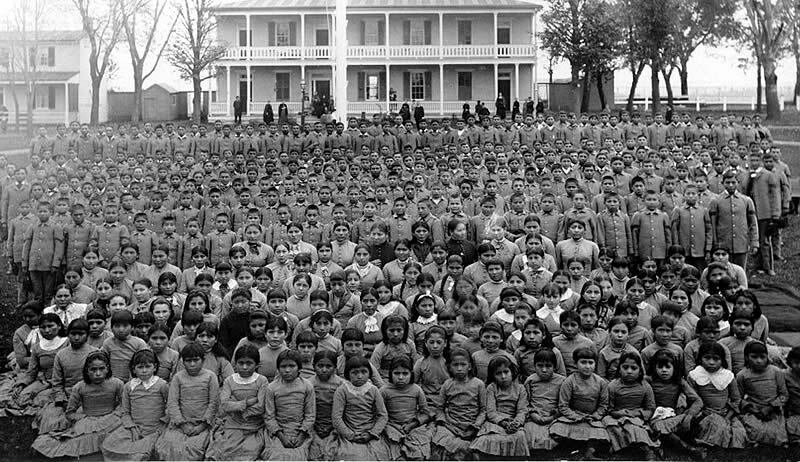 Twenty-five of the off-reservation boarding schools were under the control of the BIA and churches ran 460 government-funded churches on the reserves. The education of Indian children didn’t change until the 1974 Indian Self-Determination and Education Assistance Act authorized federally recognized tribes to administer funding to their own tribes. The Board of Indian Commissioners was established in 1872 by Congress to Christianize American Indians. Seventy-three Indian agencies were appointed to various denominations, including Methodist, Presbyterian, Episcopalian, Catholic, Baptist, Unitarian, Lutheran and Quaker. Each denomination supervised Indian boarding schools in their areas. Children were often taken hundreds of miles from their homes. Their hair was cut, and their traditional clothing replaced by European-style clothes. They were given Anglicized names and forbidden to speak their own language. Discipline was strict, including beatings, solitary confinement and sexual abuse. Instead of going home during the summer, children were leased to white homes as menial laborers and forced to do labor for the schools. The students were taught to read and write, which would help girls find domestic work and boys learn a trade. Living conditions were unhealthy and supplies and food were insufficient. Those who died were buried in mass graves, often located on school grounds. Today, churches are being encouraged to begin truth-telling in conversation with tribes and faith communities, research their denomination’s role in the boarding school policies, and define how they can support healing relationship. Today the Quakers lead the other side of this. Wharton says there’s a Quaker woman researching the Quaker role in this history and conducting seminars on why this healing is needed. A recommendation of the National Native American Boarding School Healing Coalition is to create a study that documents the truth as a step toward healing. Smith says that establishing truth commissions would be a step toward a larger project of reparation. The coalition has not focused on individual causes of action as the most strategic way to seek reparation for boarding school survivors. Instead, it focuses on a collective remedy because the era is considered genocide against an entire group of people. Indian Health Service reports lower health rates among American Indians and Alaska Natives than the rest of the population. American Indians and Alaska Natives born today have a life expectancy 4.2 years lower than the U.S. population of all races. Heart disease, suicide, diabetes, homicide and liver disease are all seen at higher rates in Native communities. The problems are rooted in the past, but many survivors don’t want to talk about abuse, Smith says. There are also those who don’t view their experience in boarding schools as negative. There is not a clear international legal standard for language as a right, Smith notes, but quantifying federal funding for language is more easily defined than quantifying the causal relationship between, for example, boarding schools and increased substance abuse. That report is titled, “Reparations and American Indian Boarding Schools: A Critical Appraisal by The Boarding School Healing Project,” and was written by Smith. Language seems to foster healing in people, according to psychologists, and it works directly to undo what was done by the boarding school program, Shelton said. Canada framed the issue as “abuse within the schools” rather than the school system itself as a form of abuse, Smith says. Indeed, the Boarding School Healing Project report notes that in post-Apartheid South Africa, reparations were made available for specific acts of violence, but not for the crime of Apartheid itself. Likewise, reparations to Japanese concentration camp survivors in the U.S. addressed that specific policy, but did not address the underlying issue of white supremacy and imperialism. In Canada, where victims had to testify about their experiences, “huge numbers of survivors committed suicide or began relapsing into substance abuse when they began pursuing lawsuits because there was no collective healing framework inherent in this approach,” according to the report. Yet collective reparations risk being rejected by individual victims because they do not respond to the often intimate, individual nature of the violations and suffering. The measures can also become confused with development policies those communities are entitled to anyway, Smith writes, noting that in Peru, where the government tried to re-label a development initiative as reparations that was already under way, victims protested that they were already entitled to development programs and the project was not designed to recognize the abuses they had suffered.